This course will cover all the techniques of carrying out a professional facial treatment. From skin analysis to deep cleansing, applying products through to carrying out a relaxing and beneficial facial massage. All aspects of health, safety & hygiene, ethical and data protection and procedures will be covered in addition to the training in the facial procedures, skin analysis, superficial skin cleansing. An in-depth face neck and shoulder massage will be taught allowing for your clients to enjoy a complete treatment. As with all our courses you will also cover all relevant anatomy and physiology, promoting and marketing of the treatment. 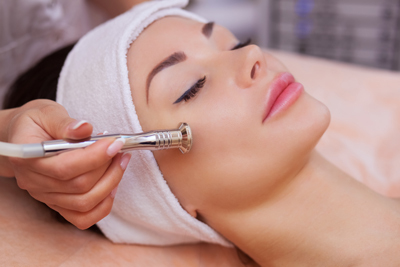 The advanced facial course will allow you to offer a wider choice of treatments to your clients. This advanced training course will teach how to safely steam the face, extraction along with advanced drainage massage techniques. 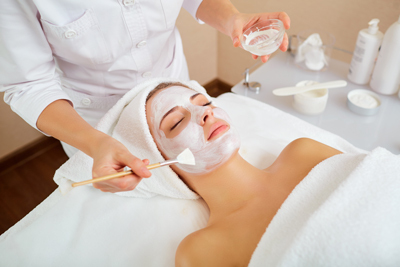 The facial treatments will include anti-ageing and blemish control. With the use of electrical currents and the use of mechanical exfoliation, the client benefits from a deep cleansing rejuvenating treatment which can help in the removal of blackheads. A virtually painless alternative to chemical peels. This anti-ageing treatment will enhance the skin, helping with the drainage of tissue fluid helping to minimise dark circles around the eyes. Micro-current treatments aid in gently lifting the muscles, helping to create a younger looking client. Galvanic treatments give the skin a deep cleansing through des-incrustation, helping to remove impurities and excess sebum. An ideal treatment for those with problem oily skins. High frequency helps to purify and refine the skin. The superficial circulation is stimulated which brings about nutrition and moisture balance. Make-up is part of most women’s beauty regime. 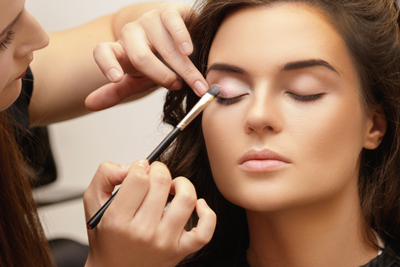 Make-up within the beauty industry is widely requested, with the popularity of proms, balls, society events, weddings, clients will often want to have their make-up applied professionally. This course will teach you how to colour match and create some of the most up to date looks. Our principle was one of the first tutors to offer this training. How it has moved on since then, and who hasn’t heard of spray tanning? Popularity has increased since the open use of this on television, programmes such as TOWIE, Strictly Come Dancing etc. with the use of the spray system we gently apply the tan to give a natural sun kissed look, safer and quicker than sitting in the sun. A traditional and very popular salon treatment with clients. Giving an instant inch loss, ideal for those who need an instant fix. An ideal treatment to offer as an addition to another treatment, for example body wrap and facial, giving you additional income without using additional time. Often these treatments were exclusive to spa’s, now we can all offer them to our clients, giving them the experience of a spa treatment but not necessarily at spa prices. Within this course you will learn:- Body polishing, purifying back treatment, manual self tanning and cellulite treatment. One of the fundamental salon treatments, expected for a therapist to be offering to their client’s. The convenience of having tinted lashes eliminates the need for the regular application of mascara, along with defining the eyebrows with colour, signifies why this is such a popular treatment with our clients. Along with tinting we will train you in the tweezer shaping of the eyebrow. For our clients who want a full Hollywood style eyelash enhancement, Russian lashes are now offered as an alternative to eyelash extensions, Russian lashes – fan lashes allow for a very lightweight lash which holds multiple lashes to one bulb applied to your own lashes with very little weight or damage caused to your own lashes. The volume can be tailored to the clients requests and needs. A very popular salon treatment, individual eyelash extensions give great volume to the client’s own lashes. Adding depth and creating the illusion of a full eyelash. This course will teach you the application and the removal of the eyelashes. You will learn how to decide which lashes- length and weight to use on each client. 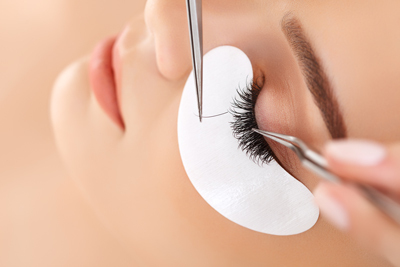 By using the eyelash lifting treatment, the client can feel more confident with a more open-eyed look with their lashes. With the effects lasting on average 6 – 8 weeks. The effects of this treatment can be enhanced with multiple other treatments allowing for a higher spend client. This course will teach you the warm wax – strip wax method of hair removal. One of the basic salon treatments, giving enormous repeat custom. We will teach you the application and removal of warm wax to the legs, underarms, bikini and facial waxing. You will also be taught the benefits of hot wax, application & removal. With the advanced waxing course this will teach you the benefits of hot wax, the application and removal of hot wax. This is the much-preferred method of wax to use for those more intimate areas. This course will include the training in: Brazilian & Hollywood intimate waxing. You may be required to supply a model if we cannot arrange one for you. Many clients enjoy the natural nail treatment. You will learn how to maintain the natural nail and improve the skin with the nourishing treatments included within this course. You will learn how to apply nail polish, solid one colour and the popular French manicure. Included within this course is the training of the luxury treatments of paraffin wax and oil treatments. Clients have now come to expect that their nail polish should last until their next manicure treatment. With this in mind companies have now developed the natural gel overlay, which lasts on average 2 weeks, without chipping. Applying nail extensions well is not only imperative for your clients, but the sign of a good nail technician. We believe that practice makes for a better nail tech. That is why we won’t do a shorter course than 2 days. Within this course you will learn how to apply the nail tip, application of the UV Gel, the fortnightly infills that clients will require, removal of nail extensions. Acrylic nail extensions are one of the strongest false nails that clients can have. The combination of the acrylic liquid and powder give a strong bonding agent which adheres to the nail tip. Within our course you will learn the application of the nail tip as well as clear and pink and white acrylic nail extensions. Nail art has come a long way in the last 20 years. Most clients now have nail art and natural gel polish, rather than nail art and nail varnish. They want their design to last much longer which it does with natural gel. You will learn a number of applications and enjoy practising your new talents throughout your day. Pedicures are one of the most popular salon treatments, who doesn’t like having their feet pampered? With this course you will learn how to file the nails correctly, treat the cuticles and skin, be able to give your client a full foot and leg massage for total relaxation. Finishing with applying nail polish single colour and French manicure perfectly.